Oil industry executive Hal Kvisle in January, 2019. 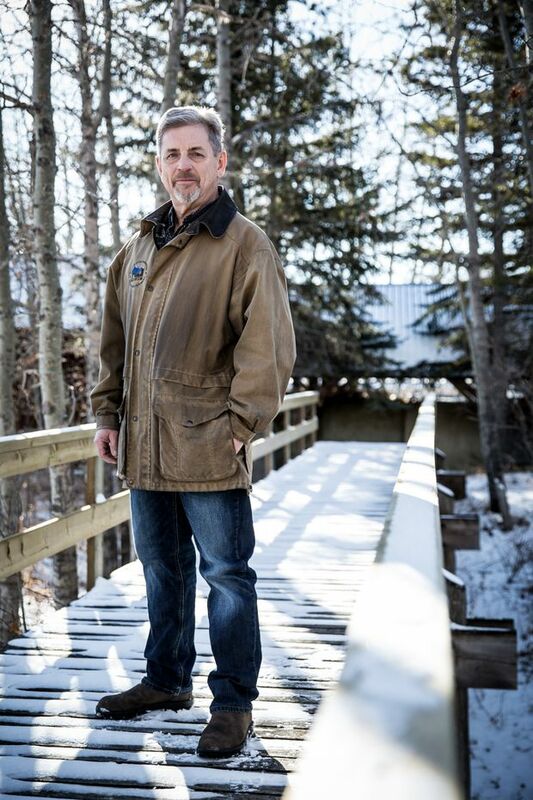 The seasoned oil-industry executive has taken a good look through Bill C-69, the pending legislation that overhauls the review process for major resource projects, and he doesn’t like what he sees. A former chief executive of TransCanada Corp., Mr. Kvisle spent a decade shepherding projects such as the Mackenzie Valley Gas pipeline and the original Keystone pipeline through Ottawa’s byzantine regulatory process, with mixed results. Now chairman of the board of ARC Resources Ltd. and a director for oil sands giant Cenovus Energy Inc., he worries burdensome federal policies are killing growth prospects in the Western Canadian oil industry and warns the new legislation will only compound the problem. The Liberal legislation “takes a horrifically bad situation and makes it worse,” Mr. Kvisle says. “They’ve created something that we in industry – having been through what we have – we see no end in sight to that [review] process." No pipeline company will pursue a project under those circumstances, he says. Energy-industry executives say Bill C-69 threatens to bog down development projects just when they are most needed. The industry has long been hurt by a shortage of pipeline capacity that has exacted a huge cost in terms of discounted crude prices and lost revenue and jobs. Numerous projects aimed at fixing the problem have been stymied. 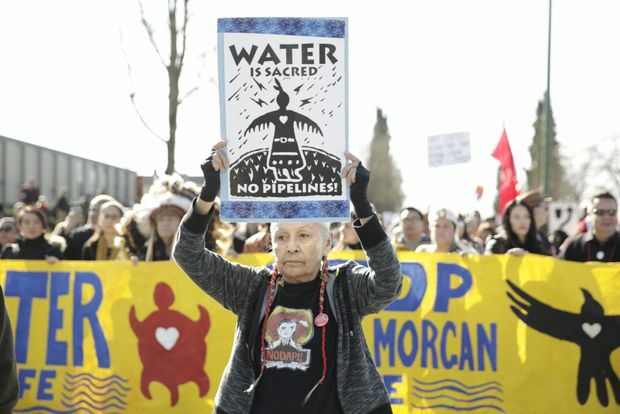 Industry opponents in British Columbia have managed to stall the TransMountain pipeline expansion despite the Liberal government’s $4.4-billion purchase of it, and one Indigenous group is now looking to block TransCanada’s Coastal GasLink project that would ship natural gas to liquefied natural-gas terminals in Kitimat, B.C., despite widespread support for the project from a host of First Nations there. Bill C-69 covers energy, mining and other major projects under federal jurisdiction. It has passed the Commons and is now before the Senate. Critics are still trying to block it or push for big changes. Rick Peterson, an Edmonton-based investment banker and former Conservative Party leadership candidate, is leading a highly charged “Kill Bill C-69 campaign” that included hiring a plane to tow a protest message over Parliament Hill. Prime Minister Justin Trudeau insists the bill will help address the difficulty in getting pipelines built, and speed up the approval of resource projects that are in the public interest, while providing early indications where projects would not be acceptable, thereby saving proponents the vast expense of a drawn-out process. 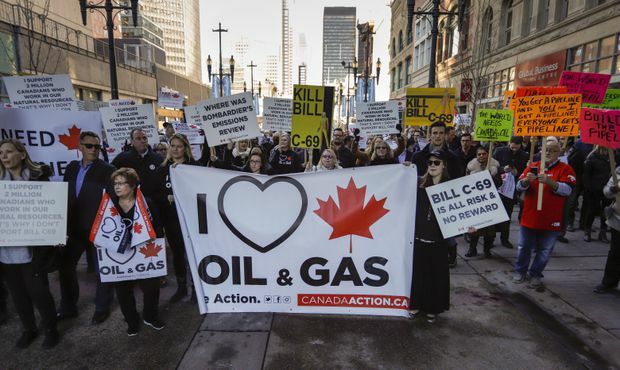 The bill’s supporters suggest industry claims are overblown and that C-69 is not a radical departure from the regime put in place by the Conservative government in 2012. 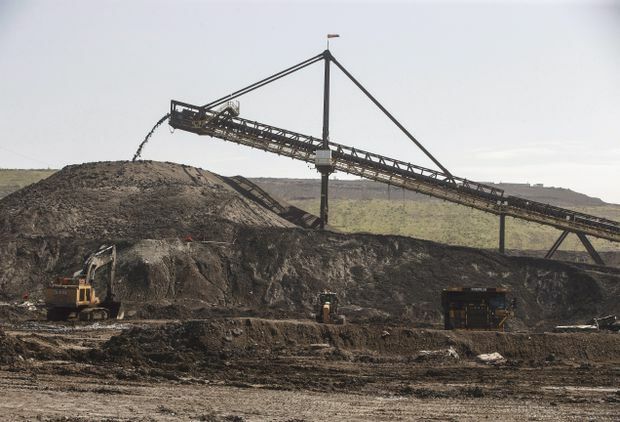 The Mining Association of Canada and the Canadian Electricity Association want improvements to the bill in the Senate, but also want to see it passed. Bill C-69 proposes replacing the Canadian Environmental Assessment Agency with a new Impact Assessment Agency that would review major projects. It seeks to reverse the Harper government’s decision to have the National Energy Board assess all proposed pipelines, and the Canadian Nuclear Safety Commission be responsible for nuclear projects. The legislation broadens the scope of assessments, looking at not only environmental impacts but at issues such as sustainability, gender concerns, health and the government’s commitment to achieve reconciliation with Indigenous people. It also imposes shorter timelines for decisions than are currently in place. However, fuelled in part by electoral politics in Alberta that routinely cast Ottawa as the enemy, there appears to be virtually no trust that the Liberal legislation will deliver what is promised. The most adamant critics of the bill warn that every timeline has egregious loopholes; that every opportunity of ministerial discretion is a potential for mischief, and that the requirement to consider climate change or social issues will be a distraction from the goal of getting landlocked resources to new markets. Further, they say the proposed law’s processes for involving Indigenous communities will open the floodgates to another round of litigation for any of those communities who do not give their consent to proposed projects. Oil and gas industry supporters gather at a pro-pipeline rally at city hall in Calgary, in December, 2018. And critics say the bill needs to be more explicit about the resource industry’s economic benefits. “We really need to have a more full-throated, up-front statement that addresses that,” argues Chris Bloomer, CEO at the Canadian Energy Pipeline Association. “It’s an opportunity for the government to clear up the intention of the key sections – that the purpose of this bill is to enable the development of Canada’s resources … that we’re open for business on this stuff and that we’re not trying to hamper development." Critics also say the bill is too vague, leaving the government open to legal challenges if it approves a project over the objection of opponents. Another major concern of the oil and gas industry is the Liberal government’s climate-change agenda that will lead Ottawa to turn down pipeline or oil sands developments that are seen as inconsistent with its international commitments to reduce greenhouse gas emissions. The oil-industry associations want climate-change issues dealt with separately from pipeline reviews, arguing a pipeline is only a conduit for oil and gas that is already being produced. 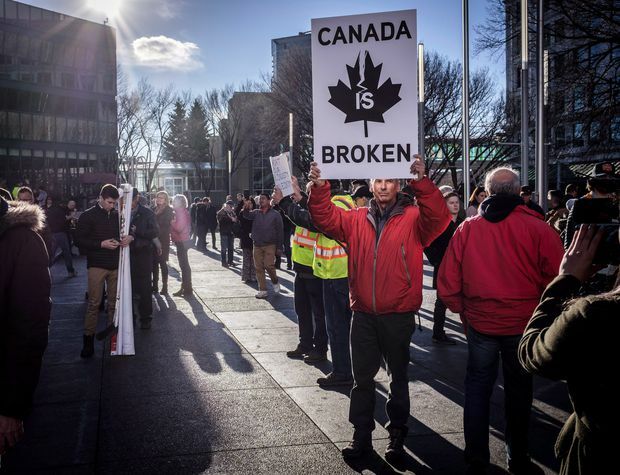 Pro-pipeline protesters gather and chant slogans outside a venue where Federal Finance Minister Bill Morneau was speaking in Calgary, in November, 2018. Mr. Kvisle said the climate-change factor is too vague, given that Ottawa’s commitments on climate change could change over time. Ms. McKenna has said the Liberal government will look to increase its ambition on emission reductions in the future as the UN pushes countries to accelerate the transition to a lower-carbon economy. Calgary-based Pembina Institute argues projects must be assessed against a climate criterion but agrees that the impact assessments are the wrong place to debate the broad policy. Instead, Ottawa should set a clear climate strategy that would not only cover fossil-fuel developments but encourage transmission projects that would carry low-carbon electricity to markets, Pembina’s Nicole Dusyk says. Mr. Trudeau and Ms. McKenna insist there is no contradiction between a thriving oil and gas industry and ambitious climate targets for Canada, a view major companies such as Suncor Energy Inc. and Cenovus echo through their support of carbon pricing and Alberta’s oil sands emissions cap. The government has launched a “strategic assessment” on climate change that will provide an overarching plan on emissions and should serve as a guide for agency reviews of crude pipelines and energy infrastructure. University of Calgary law professor Martin Olszynski argues oil-industry fears about C-69 are overblown. Timelines are actually tighter than those in existing legislation and the government has to justify any suspension of the process. Areas of ministerial discretion are also similar to the current regime, he noted, although critics argue the existing system is far from perfect. Prof. Olszynski says the opposition reflects a deep distrust of the Liberal government and an unwillingness in some cases to confront real issues of climate-change impacts and Indigenous rights. Legislation that fails to address those key issues will not improve the prospect for getting pipelines built, but rather merely encourage more litigation, added Prof. Olszynski, formerly a lawyer with the federal government. “The debate reflects the really difficult place the oil and gas industry finds itself in right now, and they see everything through that lens,” Prof. Olszynski says. Environmental groups generally support the changes in C-69, although they complain the bill still allows a project to proceed even where it would cause significant environmental degradation or would be inconsistent with Canada’s commitments on climate change. A hopper moves dirt in Suncor's Millennium mine in the oil sands in Fort McMurray, Alta, on June 13, 2017. “It’s a considerable improvement, but a lot depends on implementation,” says Anna Johnston, an Ottawa-based lawyer with the non-profit West Coast Environmental Law association. She said the bill relies more on scientific assessments than previous legislation and incorporates the goal of sustainability into resource development. Alberta’s Environment Minister, Shannon Phillips, met this week with industry associations and the Canada West Foundation to “align” their thinking on amendments they will propose to the Senate. In an interview, Ms. Phillips – who intends to appear before the Senate committee – called for greater clarity in key sections of the bill. In particular, she wants amendments that limit the scope of federal intrusion on provincial jurisdiction, that reduce the ability of the federal minister of environment to “stop the clock” on panel reviews, thereby extending timelines, and to offer far more clarity on vague social goals. She also wants assurances that intraprovincial pipelines, petrochemical facilities and oil sands projects that use steam to extract crude are not included on the list of projects that are to be reviewed by the Impact Assessment Agency. Ms. McKenna has indicated those projects will be exempted if the province enforces its 100-megatonne cap on total emissions from the oil sands, but Ms. Phillips said she wants a stronger commitment that takes into account her New Democratic Party government’s overall emissions-reduction strategy. Indeed, the kinds of developments to receive federal review will remain unknown until Ottawa produces a draft “project list,” which will set the threshold for an impact assessment. The mining association – whose industry accounts for 45 per cent of all environmental assessments currently under way – is urging the government to set a higher threshold for mining projects, essentially exempting small projects that have no mills or tailing ponds associated with them. Bill C-69 also lays out a far more robust role for Indigenous groups to be involved in planning and decision-making on resource projects. The legislation includes an early planning phase in which companies will be expected to engage – along with government – with Indigenous communities that would be affected by a project to hear their views and assess whether any concerns are insurmountable. It also requires review panels to consider Indigenous knowledge along with scientific data in assessing project impacts. Data on caribou herds, for example, would be buttressed by experience of local Indigenous communities that hunt them. Steel pipes that were to be used in the oil pipeline construction of Kinder Morgan Canada's Trans Mountain expansion project at a stockpile site in Kamloops, B.C., in August, 2018. The bill’s preamble refers not only to Indigenous rights guaranteed by the Constitution, but to the UN Declaration on the Rights of Indigenous Peoples (UNDRIP), which includes an assertion that they must be allowed to exercise free, prior and informed consent over projects that affect their traditional territory. While Ottawa has endorsed that UN declaration, it has not yet determined how it will be factored into Canadian law. That lack of clarity has industry and its supporters worried. Enshrining a broadly defined concept into legislation is an open invitation for legal challenges from Indigenous communities who oppose a project that government has approved. The Assembly of First Nations, on the other hand, applauds the bill. For First Nations, Bill C-69 is an important step in reconciliation and correcting past mistakes where Indigenous interests held little sway in the country’s resource development, whether it was ensuring they benefited or taking seriously their concerns about environmental impacts, said Kluane Adamek, an Assembly of First Nations regional chief from Yukon. She acknowledged, however, the new process could be challenging for project proponents. As the Senate committee on environmental and natural resources prepares to launch its hearing next week, members are being lobbied furiously by all sides in the high-stakes battle. Conservative senators and some independents want the committee to take its hearings on the road to hear from resource-based communities, a move that would shine the spotlight on the contentious bill in an election year. Alberta’s newest senator, Paula Simons, sits on the committee, and has been deluged with meetings on the bill since being sworn in on Oct. 16. The next day, the independent senator appointed by Prime Minister Trudeau sat down with Mr. Bloomer from the Canadian Energy Pipeline Association. In an interview from Edmonton, Ms. Simons said she expects the committee will consider a “suite of amendments" that would make the bill more effective. Spring, 2012 – The Conservative government under Stephen Harper uses a budget omnibus bill to enact sweeping changes to environmental assessment. The legislation cuts environmental protections, moves pipeline reviews from the Canadian Environmental Assessment Agency to the more industry-friendly National Energy Board and limits public participation in hearings. Joe Oliver, the Conservative resources minister at the time, defends the restrictions as necessary to prevent “radical groups" beholden to "foreign special interests” from subverting the hearing process with endless interventions. Fall, 2015 – In the federal election campaign, Liberal Leader Justin Trudeau and NDP Leader Tom Mulcair vow to roll back Mr. Harper’s 2012 changes, which they argued gave short shrift to the environment and Indigenous rights. Mr. Trudeau also vows to stop Enbridge Inc.’s Northern Gateway pipeline project, which faces opposition from environmental groups and coastal First Nations in British Columbia. January, 2016 – Liberal Environment Minister Catherine McKenna and then-natural resources minister Jim Carr announce “interim measures” for two assessments under way: the Trans Mountain pipeline expansion and the Pacific NorthWest LNG project proposed for Prince Rupert. The measures bolster First Nations’ engagement and add assessments of the projects’ impacts on greenhouse gas emissions. The ministers also promise a thorough overhaul of the federal environmental assessment regime. 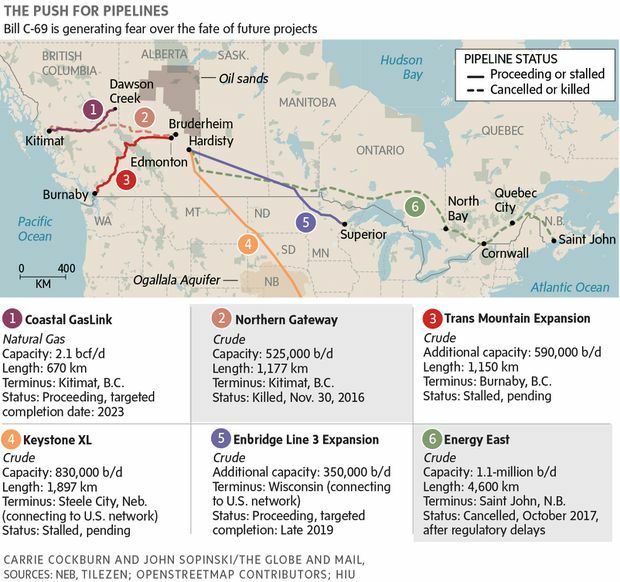 November, 2016 – The Liberal government approves the Trans Mountain expansion project and Enbridge’s refurbishment and expansion of its main crude export line to the United States, Line 3. Ottawa also kills the Northern Gateway project by refusing to revive the assessment after a federal court ruled the Conservative government had failed to adequately consult First Nations and quashed the existing permit. February, 2018 – Ms. McKenna tables Bill C-69, a 350-page bill that, she says, will restore public trust in the federal government’s reviews of major projects. It covers not only pipelines and oil-industry projects, but mines, hydro dams, transmission lines and major nuclear projects.